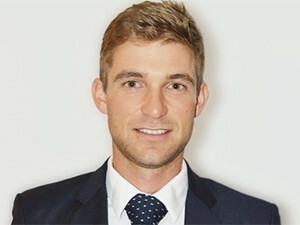 South Africans have low levels of financial literacy, says Finch Technologies' Michael Bowren. South Africans can now compare financial products such debit cards, credit cards, vehicle finance, online from 106 financial institutions to choose the products which best suits their needs. Fincheck.co.za is an online financial products comparison portal which provides transparent facts and figures about 26 different financial services products on offer from various financial services institutions. According to Finch Technologies, the holding company for the start-up, these products range from loans (including personal and student loans), bursaries and debit cards, debt consolidation all the way through to foreign exchange and unit trusts. Fincheck.co.za is modelled on the successful tech start-up Moneysupermarket.com, a British price-comparison Web site. Fincheck.co.za is simple to use and is totally independent and unbiased. It provides facts and figures about similar financial services products on offer from various financial services institutions; the service is free for consumers. Michael Bowren, CEO of Finch Technologies, says South Africans generally have low levels of financial literacy and high levels of indebtedness. He adds many people are paying a substantial portion of their disposable incomes to loan sharks and Ponzi schemes. "Fincheck.co.za was developed to make financial information easy to understand and different financial products easy to compare. "Fincheck means that consumers no longer have to go to several Web sites to obtain information about the financial service or product they are looking for, where each Web site presents product information differently and in a way that is difficult to understand," he explains. He points out the company gathers information from South African lenders, banks, unit trusts and other financial services partners and presents it in a clear and uncomplicated format. Discussing how it works, he says the customer first clicks on the section they are interested in (loans, bank accounts, business, investments etc.). This will then take them to a page listing the South African companies that offer such a service. The customer then simply compares the products on offer and clicks apply. "For instance if the customer is making a comparison between bank accounts , they will get information about the monthly fees, ATM withdrawal costs, EFT costs, and minimum monthly income needed across various financial institutions. "These figures weigh heavily on customers when deciding which account to open or which bank to bank with," reveals Bowren. He says his company feels strongly about helping ordinary citizens so that they can move from being in debt to saving a little each month. "We want to help people along that process, and ultimately, coach and support them into a position where they can start investing. Finch Technologies says other products that can be compared on the portal include travel cards, Islamic banking prices, mobile money prices, home loans. Fincheck.co.za also provides extensive education on its portal to help consumers become more financially literate. There are basic information tools such as that of Imali Life, which is presented as a cartoon. There are also informative tips and an easy-to-read blog with authoritative content about saving, borrowing, investing and more. It promotes understanding of financial products and terms.